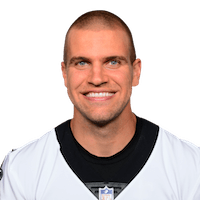 Fleener has steadily improved during his time at Stanford and turned into a technical, effective route runner who is able to separate at the top of routes. He's an obvious target for the QB and has a good feel for defenders around him. He will go up for the ball, especially in the red zone, where Fleener had 10 touchdowns in 2011 (heading into the team's bowl game). He is a smooth athlete who looks natural running deep down the field, even at his height. He is able to anticipate the throw, find it in the air, and rarely does he not come down with it. Fleener has struggled as a blocker on the line of scrimmage throughout his collegiate career, although he continues to improve. While he is an explosive athlete with the ball or running in the open field, he is somewhat stale at the line and needs to improve his strength to become a more complete player. His strength can also effect him somewhat in the pass game as he tends to get jammed at the line and can have trouble getting back into his route.